Is this for Home or Business? Pool season in Northeast Ohio will be here before you know it, so don't miss out! Instead of wasting time (and water) filling it on your own, our expert pool filling service can add a splash to your summer in no time! We've provided water services to Northeast Ohio for over 120 years. We handle all your water filling and filtration needs for you, so you don't have to wait to enjoy your pool! Filling your pool with a hose is certainly a sensible and viable solution. However, it takes an average of 12-24 hours to fill even a small pool, running up your utility bill. Why Not Just Use a Hose? It will take approximately 45 minutes to empty one tanker. There is minimal set up time and transportation time in between tanker deliveries (depending how many will be needed to fill your pool). What Type of Water Will I Receive? 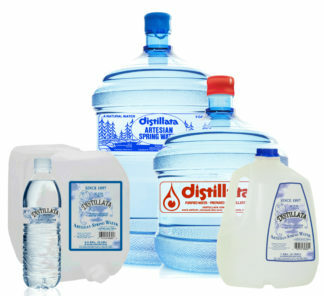 We will fill your pool with either our artesian spring water or distilled water.